* An empirical investigation of the role of social and contextual variables in HIV risk among low-income Black women by Kathleen Sikkema, Timothy Heckman, and Jeffrey Kelly of the Center for AIDS Intervention Research, Medical College of Wisconsin. Other articles include comprehensive and critical analyses and reviews of diabetes, breast cancer risk perceptions, and obesity among Black women, as well as analyses of Black women's exclusion from research in medicine, women's health, health psychology, and behavioral medicine. The first issue of any psychology journal to be devoted to the health of Black women, this special issue is a step in the direction of redressing the long-overdue neglect of Black women's health. 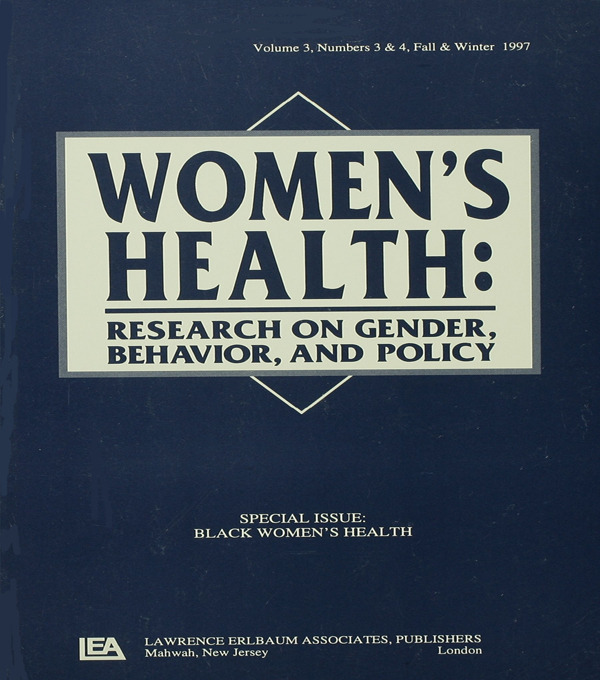 It provides a cogent overview of the state of Black women's health, numerous empirical investigations, and clear suggestions for future research.